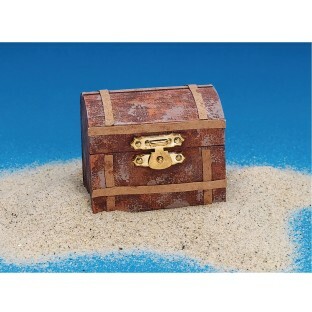 Store tiny treasures in this cute chest! Another fun craft for your pirate party! Easy to make with all materials included. A great coin or trinket holder. I was surprised at how small it was. But the girls still enjoyed painting it and got creative with their designs. Didn't bother with the leather strapping. Treasure Chest Is a Hit! I ordered 50 to take to Russia for summer camp craft projects. The boxes were sturdy enough to travel in my suitcase yet light enough to be no problem in transporting. When we held them up for the craft of the day the kids' eyes got big and they said Wow! 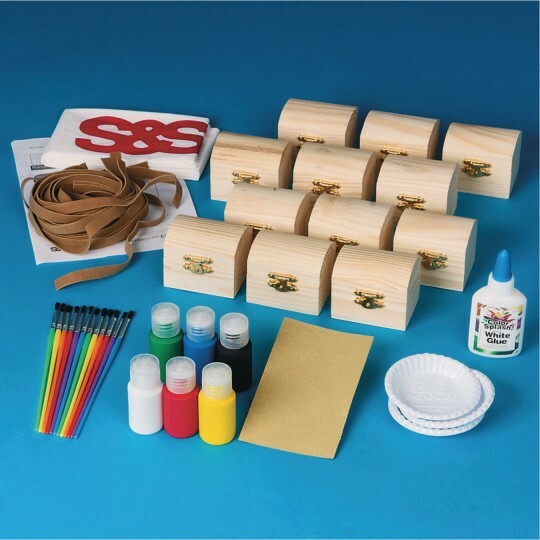 All kids ages 8-12 enjoyed painting and personalizing their own treasure chest. I will definitely reorder these in the future. Loved by adults as well as children. Good for all ages can be used for those valuedpersonal items.